If you have been hurt on the job and can’t work, or have extensive medical bills, you may be wondering if you have the right to sue your employer for any of your losses. This blog looks at if, and when, you may file a lawsuit for injuries suffered in a workplace accident. As a general rule, you cannot sue an employer when you are hurt on the job in New Jersey. Under the state’s workers’ compensation system, a workers’ compensation claim is what is known as your “exclusive remedy” for any wrongdoing by your employer that causes you injury. The requirement that you pursue any work-related injury claims through a workers’ compensation filing is what is commonly referred to as the “grand bargain,” as it supposedly benefits both workers and employers. Workers can ideally obtain benefits in a more timely manner without the cost of litigation. Employers don’t have to worry that a jury will return a huge damage award. First, you are only restricted to the workers’ compensation system if your employer had a valid policy of workers’ compensation insurance. If no such policy exists, you can file a lawsuit to recover damages. Second, the workers’ compensation provisions only cover the negligence of your employer, the company or a co-worker. 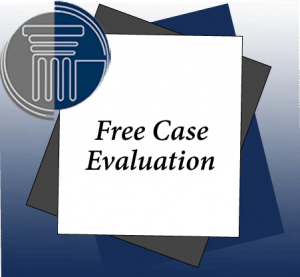 If you were injured because of the carelessness of someone other than your employer or a co-worker, you have a right to file a “third party claim” against them in court. In fact, you can file both a workers’ compensation claim and a third party claim for the same accident, provided you can show that both your employer and a third party were negligent.